Android has added many useful features such as lock screen widgets, revamped quick settings and further more for users convenience. Actually, all these features allows you to do more with just one or two clicks. But, there is still one task that has remained the same; that is opening a new app. For that users are always need to go back to the home screen to launch the next app. Actually, this is not an too much long process, but here there is a way to make it shorter. 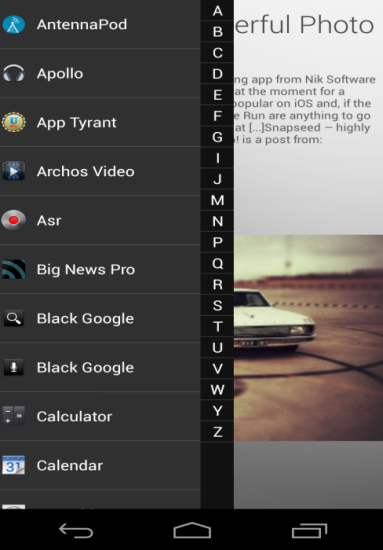 Yes, the XDA recognized developer cyansmoker has released one of the early beta of a launcher called GYF. 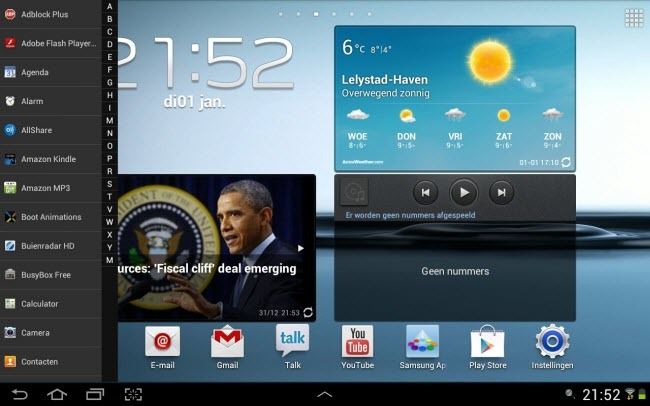 It allows the users to open a window from the left side of the screen that contains all of the apps on the android device. So, instead of going back to the home screen and opening the app drawer, users can now open any application from anywhere. How it works is; it keeps a launcher hidden off the left side of the screen. You can slide from the left side in, and the app drawer opens right there. Please be informed that it is an beta release so it may not work very well on your device. But why don’t you make a try and tell us whether it is work in your device model or not? If you want to try then get it from here.